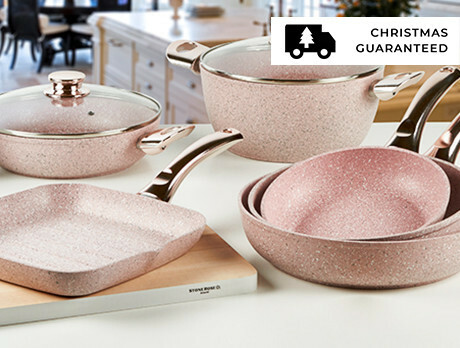 It's time to think pink in the kitchen with this collection of Stonerose Cookware. Remaining a leader of their trade since 1945, Italian brand Bisetti presents the perfect partnership of traditional craftsmanship with modern kitchenware. Instagram at the ready because you're guaranteed to cook up a storm on-trend, and this time the food won't be the focus.